Take Exit 94 off of I-64. 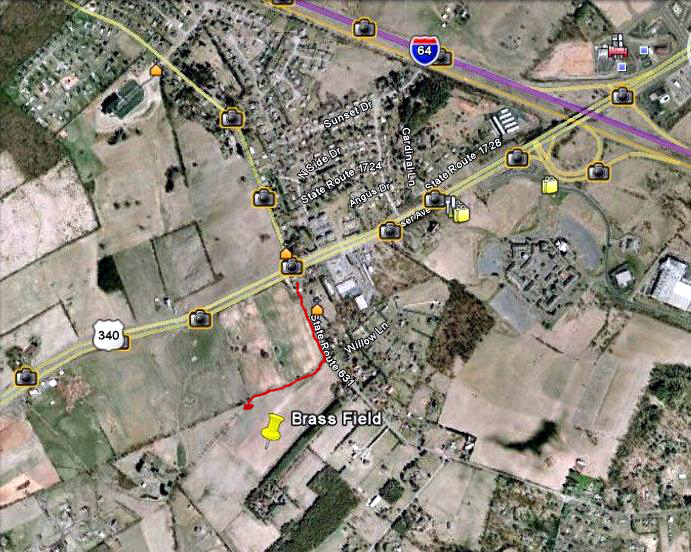 Then take Route 340 towards Stuarts Draft. At the traffic signal for Ladd Road and Rt. 340, take a left onto Ladd Rd. Follow Ladd for 1/8 of a mile, on your right you will see a gravel drive. Follow the gravel drive and park next to the shed barn. If you go to Google Maps and type in ‘Ladd, VA’ in the box, you will see photos of the area. You can drag the yellow person on the left of the map to where you want to view. Then zoom in and drive it.